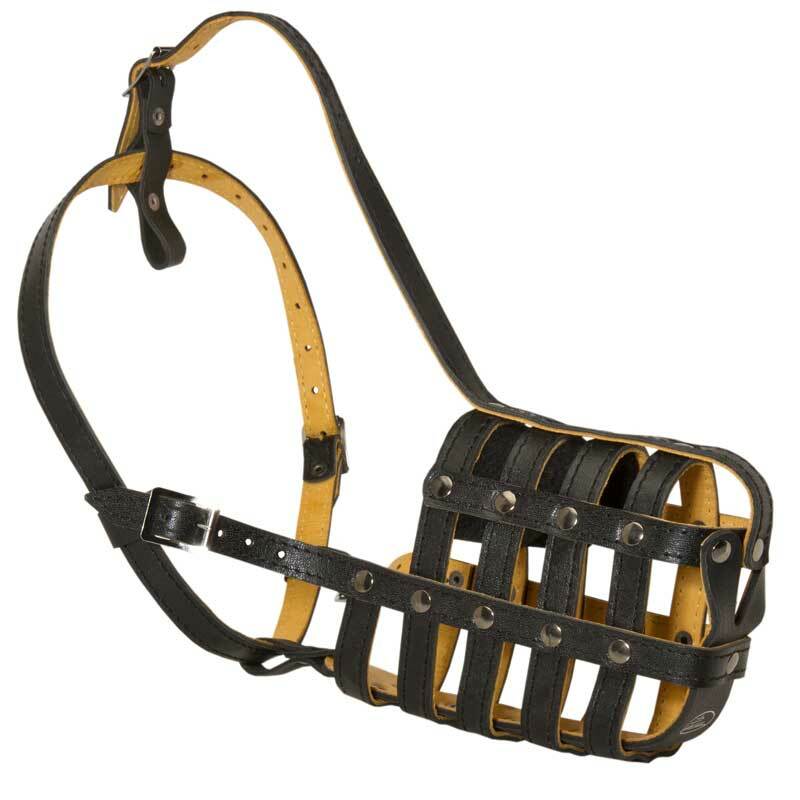 This Dog Muzzle will suit your Rottweiler perfectly as soon as it makes your pet feel safe and comfortable. It is designed specially for attack/agitation training but also can be used just for safe walking. 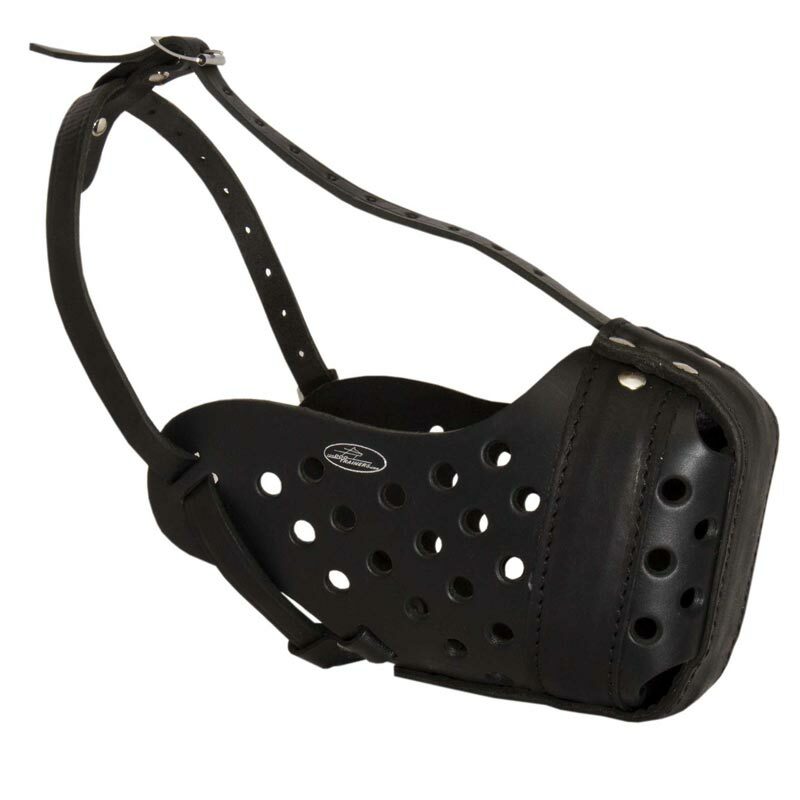 Its ergonomic design allows your dog not to feel restricted because it is rather spacious and doesn’t hurt his snout. Be sure your dog will be able to bark and open his mouth to a certain degree. 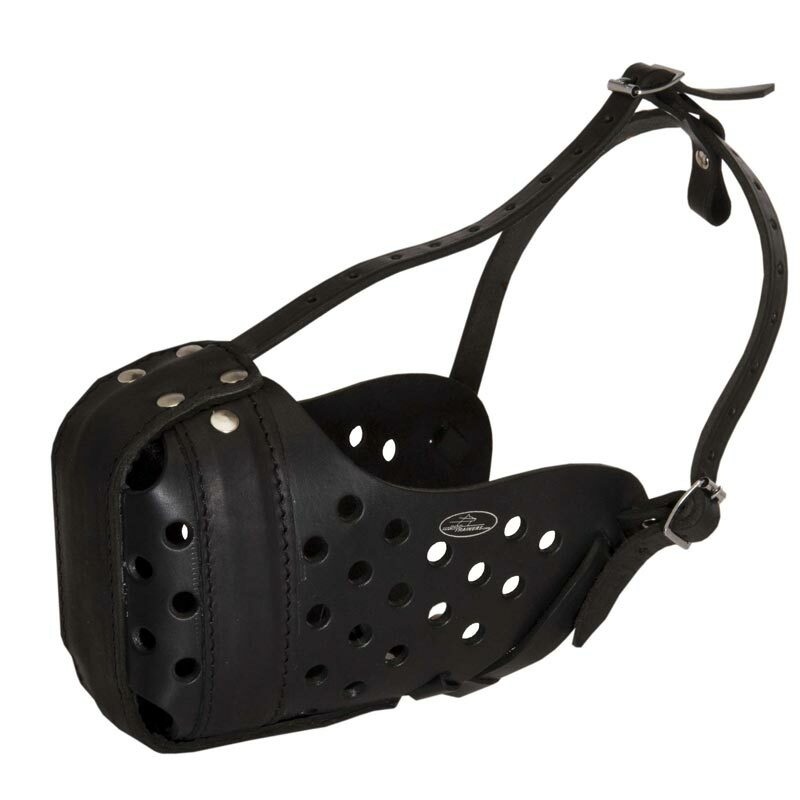 This Muzzle is made of top quality full grain genuine leather that is non-toxic and dog-friendly. 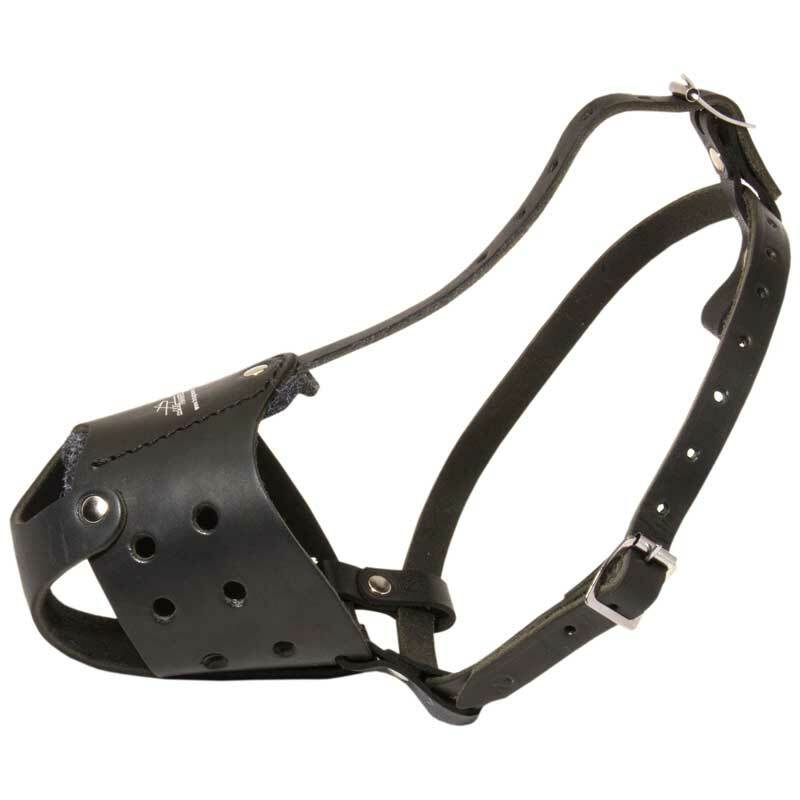 The inner part of the Muzzle is padded with thick felt in order to protect your dog’s snout from skin rubbing and irritation. Evenly spread ventilation holes provide proper air circulation, that is very important no matter what your dog is doing. The front part of the Muzzle is equipped with special steel bar which helps to maintain its shape and serves for additional durability. All leather parts are carefully stitched and riveted for better tensile strength.